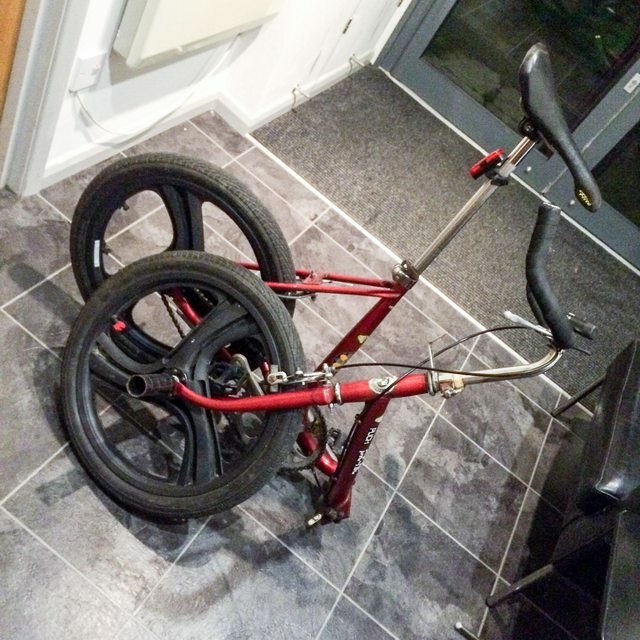 Post subject: Re: What folding bike??? Puch Picnic folder.....been riding this to work recently after buying it on a whim and I really like it. Single speed (I bought it with the dubious mag wheels on it) but I replaced the original cotter-pin crank & bb with a cartridge bb and Shimano 105 road chainset (52t) and the gearing is spot on. Lowering the seat and handlebars would see this fold quite compact I reckon. I could do that and measure up if that helps? The Puch is a good basis to modify as, unlike the Raleigh Stowaway, as threads/sizing for bb are euro standard, meaning you can fit std shimano bottom brackets (and I guess headset sizes are std too). Second hand Brompton will always hold its value though. It will have cost you nothing when you come to sell it on. I don't like the way they ride, but the way they fold (and how quickly) is unbeatable for London use with the train. As much as I couldn't get on with how the one I borrowed rode, the folding method was the bit that made it really hard to give back! Yes, a very good point. The price of a new Brompton has more than doubled since I bought mine secondhand. I suspect I could easily sell it on for double what I paid for it in the early 2000s. As a buyer though, I would now look for newer secondhand Bromptons rather than retro ones! I have a Brompton (it was my sixth bike and bought when my commute changed) and love it- 6 speed with the unfashionable P bars. What I don’t love is that most of the fixtures & fittings are peculiar to Brompton and you can’t just mix standard bike bits in. Just don’t expect it to be like your road bikes. 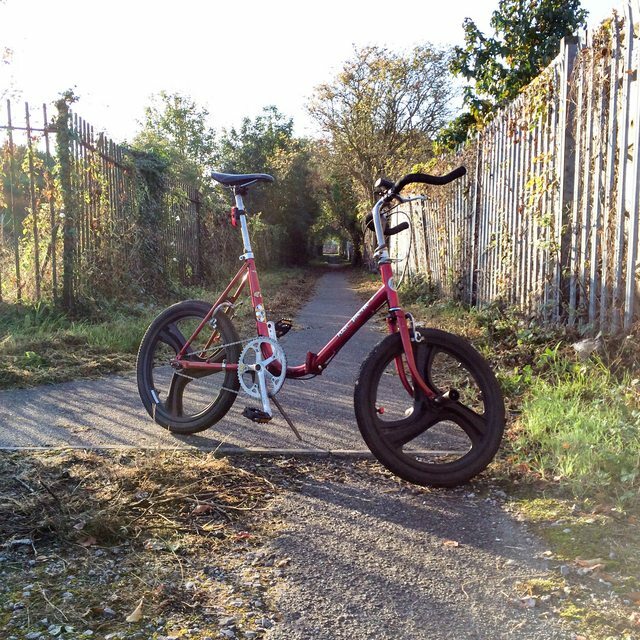 I always rather liked the look of the Strida https://www.strida.com but have never ridden one. Even I don’t think I’d ride one of those..
Slightly random but what about an adult version of kid's scooter or even a unicycle?